It is fairly common knowledge that many, if not most animals have not yet been documented by Science. You may however think that all the species of large trees in the world have been documented by now. If so this species should cast some doubt on that assertion. Wollemia nobilis is commonly known as the Wollemi pine. 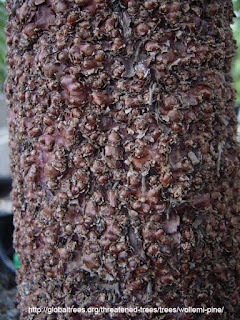 The tree can grow up to 40 m tall and can sprout multiple trunks. It was found in Wollemi national park only 150 km from Sydney, Australia's largest city. It was first documented in 1994, just over 20 years ago. It was discovered by an avid bushwalker who found a small population of them. 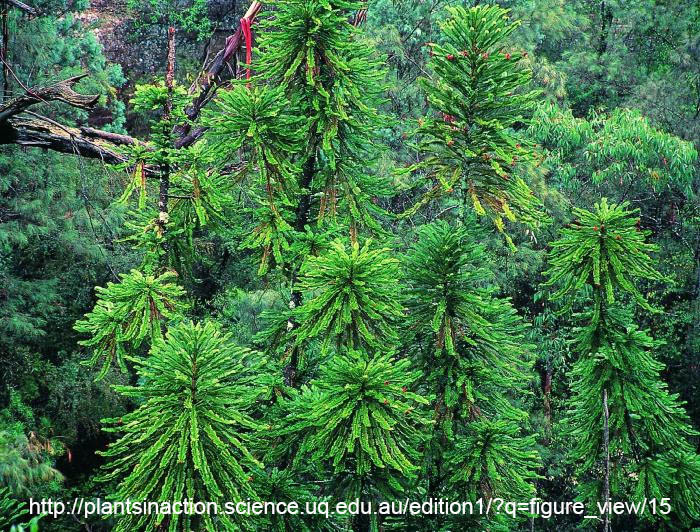 The Wollemi pine is from a mostly extinct ancient family of trees which still has a few remaining species. It was common in the dinosaur era and its dark green foliage and the bubble like texture of the bark make it look like it comes from another era. 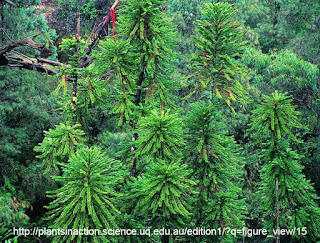 The Wollemi pine has not been found growing in the wild outside of Wollemi national park. 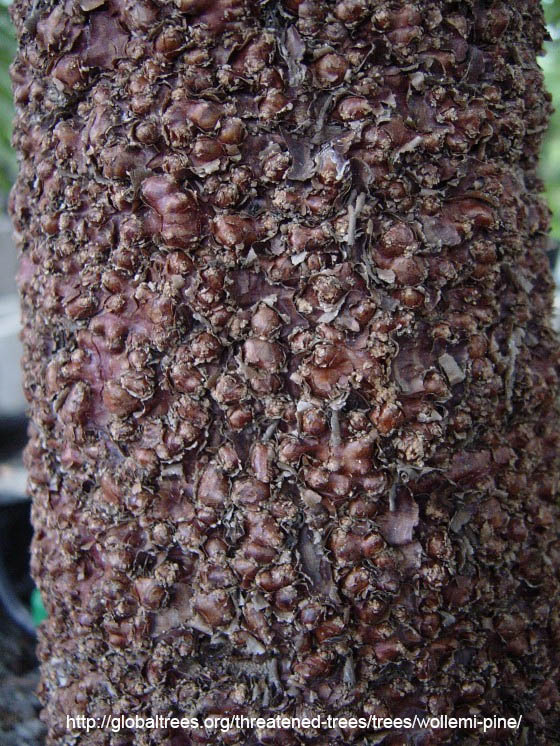 The wold population is probably fewer than a 100 trees however several specimens have been cultivated and are now commercially available. The Wollemi pine is not really a pine (genus Pinus). It is, however in the same order (Pinales). The family Araucariaceae used to exist all over the world during the dinosaur era, but is now restricted to a few relict gondwanan populations.